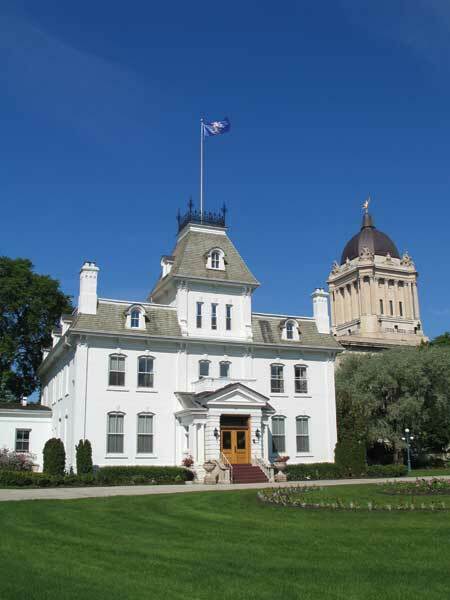 Government House, situated at 10 Kennedy Street in Winnipeg adjacent to the Legislative Building, is the official residence of the Lieutenant-Governor of Manitoba. 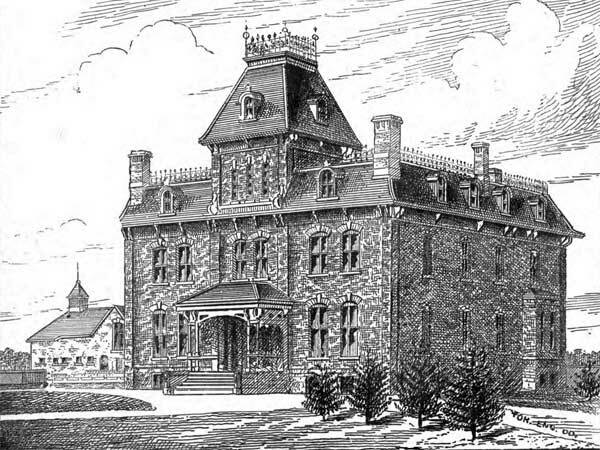 Its construction, by local builder J. E. Gelley under the supervision of David Smith, began in September 1882 and was completed in under a year. James Cox Aikins was the first Lieutenant-Governor to take up residence, in September 1883. It was transferred to Manitoba’s jurisdiction in 1885, symbolizing the completion of Manitoba’s parliamentary political structure. The building has undergone extensive renovations through the years, with additions added in the early years successively replaced by a ballroom where public receptions are held, a dining room for public dinners, and a greenhouse. 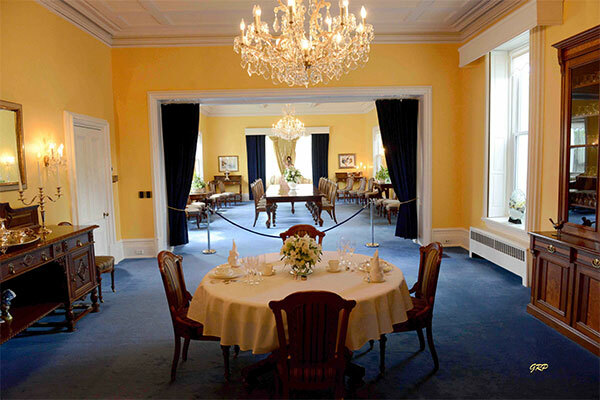 It is one of only three Government Houses across Canada that has been used continuously as a residence since its construction (the other two being in Newfoundland and Prince Edward Island). The first building known as Government House was occupied by Louis Riel as President of the Provisional Government of Red River in 1869-1870. 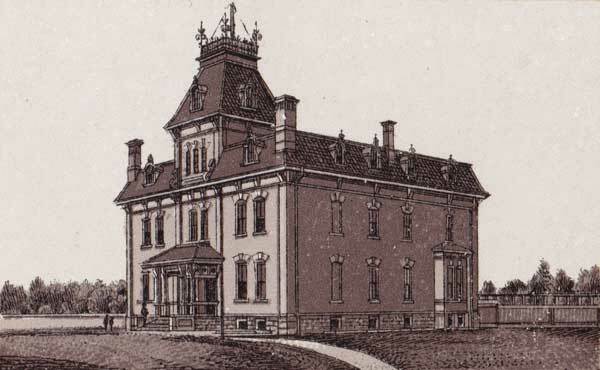 In 1870, Manitoba’s first Lieutenant-Governor, Adams G. Archibald, chose as Government House the residence of the last Governor of Rupert’s Land, owned by the Hudson’s Bay Company and located in Upper Fort Garry. The Fort Garry residence remained Government House until it was replaced by the present structure. In 2002, Government House received a Conservation Award from Heritage Winnipeg. Source: Robertson’s Political Manual of Manitoba and N. W. Territories, 1887. Source: Souvenir of Winnipeg, Manitoba, Toronto News Company, 1889. We thank George Penner for providing additional information used here.